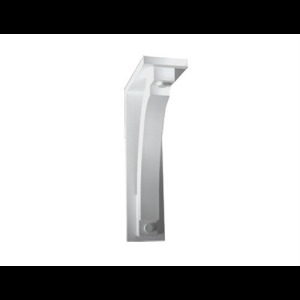 This Item is Custom - Shipping Times Will Vary Depending on Quantity 30"H x 7 1/4"W x 17 3/4"P Decorative bracket made from our high density polyurethane. It can be treated just like wood but will last a lifetime! WILL Add Beauty and Value to "Curb Appeal"